CMT – (Charcot Marie Tooth disease) is not widely known about. So how is it seen? Sometimes children appear a little clumsy, perhaps not good at sports. Their feet start to look a bit different. Perhaps their ability to handle things deteriorates. Muscles waste and balance becomes unstable. Gradually their toes may curl, arches rise and shoes don’t fit. There may be neuropathic pain. Gradually feet or hands become more clearly deformed. This is Charcot-Marie-Tooth disease (CMT), a progressive degeneration of the nerves caused by genetic abnormalities. There is no cure at present. It affects 1 in every 2500 people on earth, each one in a different way. It is not life-threatening as such, but it can be life-restricting. Named after the three doctors who diagnosed it first, CMT is now becoming better known. Research into the responsible genes is ongoing. CMT has informed, shaped and influenced my life in many ways. But I have led an active and busy existence and I manage it. I am still active, given the constraints of the disease and advancing years! I am soon (early 2016) to publish my autobiography, A Rebel’s Journey. 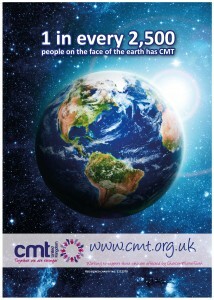 My life is described and how CMT has played a part in that life. I will be making a donation from the profits of that book to CMT UK, an organisation which supports people with the condition, raises awareness and supports research. This will be the place for ideas and thoughts, recent events and decisions, random links and contacts, a bit of a personal blog, but not to be confused with the Blogs category on here which is mainly pure opinion pieces and an invitation to write blogs for companies. This section will be like a diary, a clearing house of materials for things as they come up, before being allocated elsewhere. This will be ideas for articles or connections with existing ones. Drama materials. Appearances and jobs done. It will be the first call for LATEST info.